Ladies stretch canvas ballet flat with elastic in place of binding and drawstring. Comes with pre-sewn crossed instep elastic. Bloch Zenith Ballet Shoe is a ladies stretch canvas ballet flat giving a streamlined fit reflecting contours of the foot while being extremely comfortable. 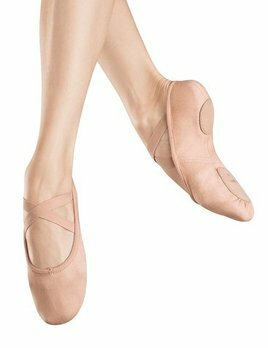 Adult canvas ballet shoe features hand-stitched front sole.